Complete music books and more. 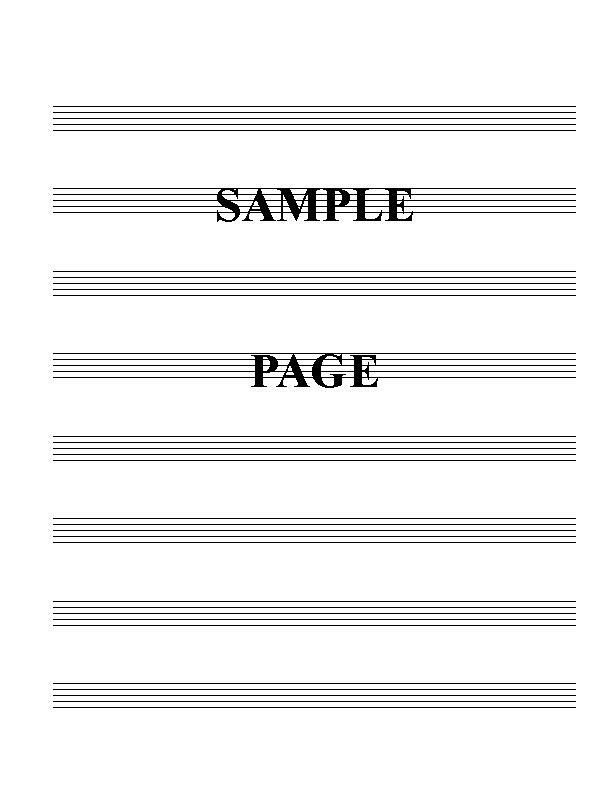 Never buy blank score paper again! CD's with audio, Midi files and printable music sheets for accompaniment created on request! or send email and ask for the enitre list. This group is only for reference! Volume 1, 2, 3, 4, 5(Best Of '65), 6, 7, 8, 9 10 11. Only Vol.1, 2, 4, 5 Vol. 5 is "Best Of '65", 6, 8 10 and Good Tunes are finished). Buy any 3 and Get Good Tunes Free. Volume 1, 2, 4, 5 (Best Of '65), 6, 8, 10 and Good Tunes (Reference Library) are now available plus Volume 6 in B Flat. Each has a completely interactive clickable INDEX. You can scroll through the titles in alpha order, scroll through the pages in numeric order or click back to the index from ANY song. Stuck in the back of my Volume 1 I found a short collection (58 pages) with a table of contents. Obviously someone ripped off one of these books and pasted together only the songs that he or she liked. The book is titled Good Tunes. The Real Book Volume I (5th Edition) with Inter-active Index. Computer CD 500 + pages (.pdf files). You can print out the pages you need when you need them. Available for Bb, C, and Eb instruments. Please Specify Key When Ordering. Concert Key (C) edition now completely interactive. This allows you to scroll through the tunes by page, title or back to the index. Vol.1 ("C" Edition) 950+ Titles with Melody, chords and lyrics. Interactive Index and files. Scroll the the titles and / or the pages. Vol. 6 ("C" Edition) 1,000+ Titles with Melody, Chords and lyrics. Vol.8 ("C" Edition) 300 + songs with chords and lyrics. Vol.10 ("C" Edition) 500+ songs with chords and lyrics. Vol.10 ("C" Bass Clef Edition) 500+ songs with chords and lyrics. Interactive Index and files. Scroll the the titles and / or the pages. Features Show Tunes from Anyone Can Whistle, Bye Bye Birdie, Flower Drum Song, Foxy, Funny Girl, A Funny Thing Happened, The Girl Who Came To Supper, Gypsy, Hello Dolly, High Spirits, How To Succeed In Business, Little Me, Milk and Honey, Mr. President, My Fair Lady, No Strings, Oliver, Stop The World, West Side Story and What Makes Sammy Run. Plus Ethnic Sections (Italian, Jewish, Irish, Latin, Russian, French, German and Hawiian.